Whether you are on a trip to Ladakh or watching movie on the screen of your PC or laptop, all you need is good quality eyeglasses which offer efficient protection from harmful rays coming from your environment. High quality eyeglasses make your vision clear and offer you an ultimate viewing experience. Eyeglasses not only rectify the quality of vision of your eyes but also enhance your appearance as a style statement. The high definition optical vision clarity makes you relax while reading or watching movies on the screen of your computer. Eyeglasses also protect your precious eyes from any external contaminants like dust, moisture, air pressure and any unwanted physical particles. As the clothes protect your body from any external elements, in a similar way the eyeglasses protect your precious eyes from any unwanted risks. Eyeglasses are regarded as the oldest accessory in the world. A pair of eyeglasses gives a new aspect to your looks and significantly changes your persona in a positive manner. Eyes are the precious gift from nature, which enable you to see the beauty of the world. Nature is so diverse and incredible and it’s only our eyes that allow us to experience the myriad views of this incredible nature. It’s our duty to protect the precious gift of nature and thus to protect and rectify the vision of your eyes, eyeglasses came into existence in the world. 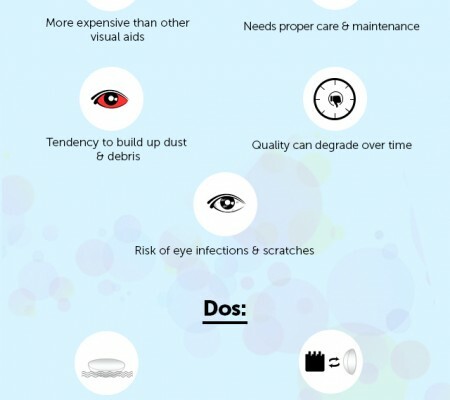 Various harmful factors in our surroundings like ultra violet rays coming from the sun or harmful rays coming from our computer screen can cause several ailments in your eyes and deteriorate your vision gradually. Eyeglasses efficiently rectify the problems due to poor vision of your eyes and offer you the capability to see the diverse and beautiful nature in a crystal-clear way. It is believed that the history of eyeglasses began in the period of eighteenth century. However, some historians have traced the evidence of eyeglasses to the thirteenth century. Earlier evidence has confirmed the fact that the eyeglasses have probably been used by people for thousands of years. A man named Benjamin Franklin invented the first bifocal lens to use in eyeglasses in the period of eighteenth century. Invention of bi-focal lens proved to be a major revolution in the technology of eyeglasses. Lorgnettes eyeglasses were common among the privileged and socially upward people due to their fashionable looks. These eyeglasses became quite popular in the late 18th century. Lorgnettes eyeglasses comprise a handle to hold the lenses to the user’s eyes which offered comfortable experience to the wearer and looked quite stylish by way of its artistic and detailed design. Another type of eyeglasses that were quite popular in the period of 19th century were wire eyeglasses. In late 1960s, plastic eyeglasses were in demand and used popularly among the people. These plastic eyeglasses were large and prominent in design which gave a new direction to the eyewear technology. If you are tense by thinking about the deterioration of your vision, then here are Cross Line eyeglasses with quality lenses that offer utmost protection to your precious eyes and also rectify vision problems like nearsightedness, farsightedness, and astigmatism. Feel strain-free viewing experience through high-end lenses of Cross Line eyeglasses. The company Cross Line eyeglasses has become a giant brand within a short span of time through the huge popularity of its eyeglasses in the market. 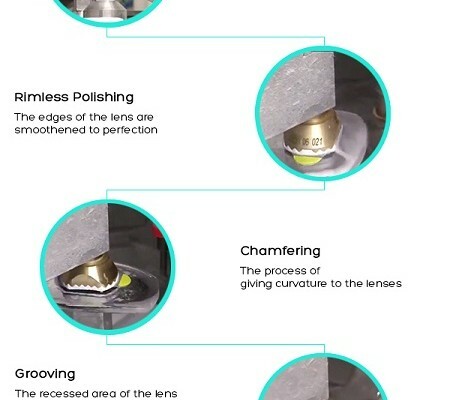 The Cross Line brand has gained the trust of a wide cross-section of people as its long product line delivers reliable and superior eyeglasses for the fashionable customers. In the present scenario, Cross Line has become one of the popular eyeglasses industries among many eyeglasses brands. The brand runs on the principle of innovation in its products to get better than the best. Cross Line eyeglasses has become a global name in the eyewear technology and the dedicated team of the company offers high quality eyeglasses in different styles for the fashion conscious eyewear customers. Exquisite and distinctly designed frames of Cross Line eyeglasses attract a massive attention of style conscious youngsters. These eyeglasses having trendy frames in different colors are quite popular among today’s fashion-conscious youth and are easily available in the market. Cross Line eyeglasses reflects a sense of originality and quality in the bracket of style. The products of Cross Line eyeglasses are a blend of classic style and trendy design which offers an aura of class and luxury to the wearer. Personality of people is defined by their style and the quality of products that they use. A wide range of stylishly designed frames in a host of color options provide the users with a multitude of stylish choices in eyeglasses. Well-built eye rims, bridges and temples of the Cross Line eyeglasses’ frames enhance your style in a superb way that makes you feel comfortable. In the term of style, quality and comfort, Cross Line eyeglasses are capable of catering to different fashion tastes of people. 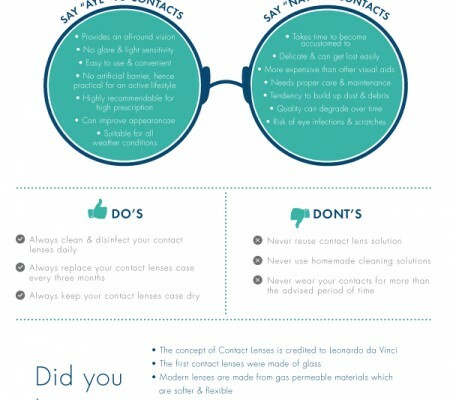 Some important considerations like quality, design and color have to be kept in mind before you buy eyeglasses. Nowadays plastic lenses are in demand amongst the people as plastic lenses are light in weight and offer utmost comfort to the wearer while using. These lenses are coated with scratch resistant material that offers protection to eyewear from any scratches and abrasions. In short, you can say that Cross Line eyeglasses are the perfect protective gear for your eyes. These Cross Line eyeglasses are easily available on different e-commerce websites. To buy eyeglasses online, you just need to place an order through credit card, debit card or cash on delivery payment options.